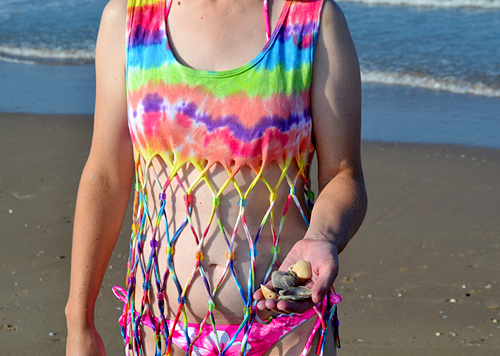 Inspired by spending some time at the beach and remembering a macrame book written by my boyfriend's father, I tie dyed and beaded up a swim cover up for myself. 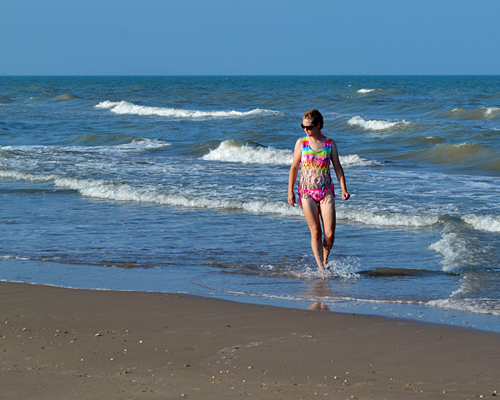 Typically into MUCH more modest swim suits but unable to find much to fit me late in the season I would up rocking a string bikini which was kind of sort of fine in the water but a bit uncomfortable when taking to the sand. This tank is cute and gives me a little bit more coverage, at least in my head, so I can be comfortable walking and swimming! 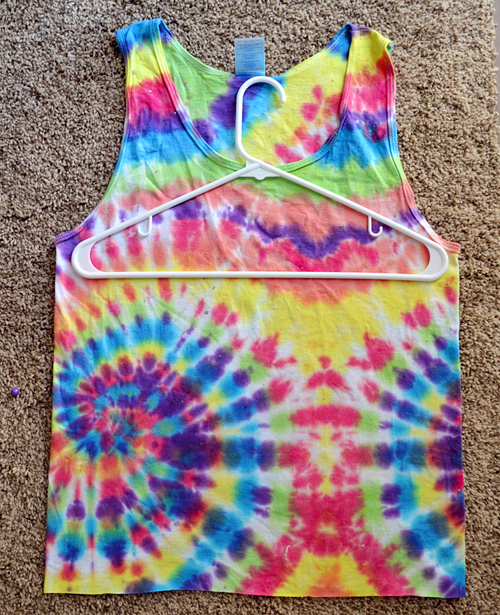 First things first, tie dye up that tank top. The pattern only really matters around the neck the rest is just for loads of color through the lattice. This is a swirl pattern done on the side rather than the front. 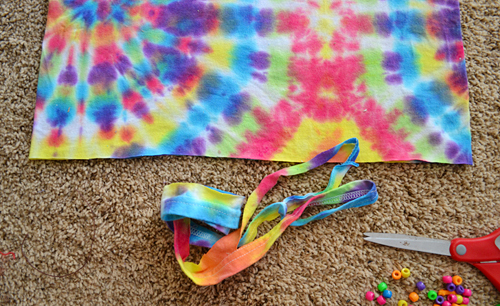 Click here for more info on how to tie dye up a swirl. 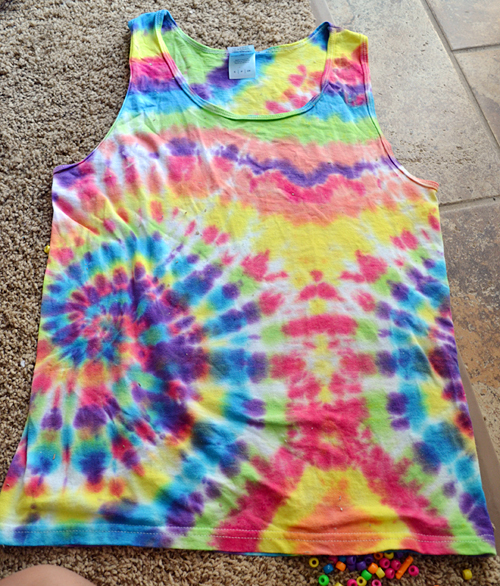 Trim the bottom hem off of the tank. Straight is good but perfect is not necessary. 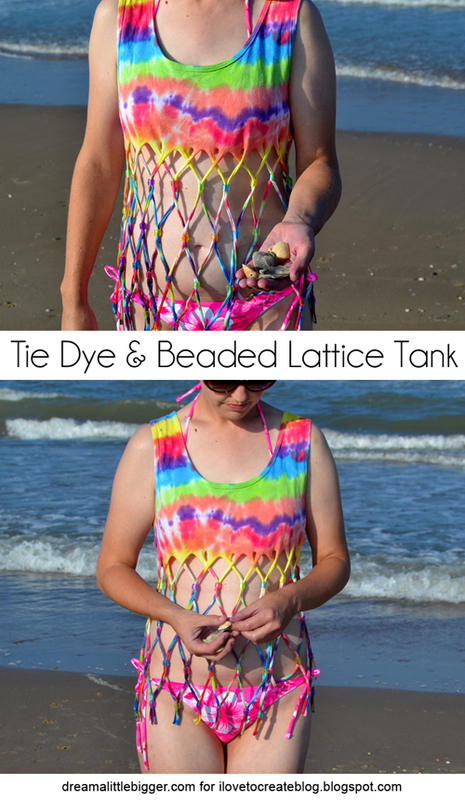 Try on the tank and decide how high up you want the lattice to start and add 1-2 inches. I didn't add that extra and mine was a lot shorter than I meant it to be in the end. Since I was crafting away from home essentially on vacation I had to use what I could find around. Instead of a straight edge I used a hanger to keep my cuts fairly straight across the tee. Use what you have! Make your cuts as even as possible and the same width as much as you can. Again, perfection is not necessary. 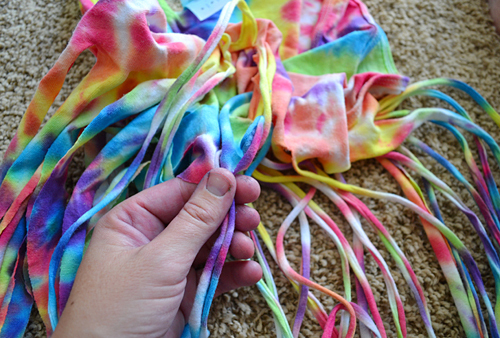 Next you need to stretch those strips out so that they are long and swing-y and so you can string beads on them. 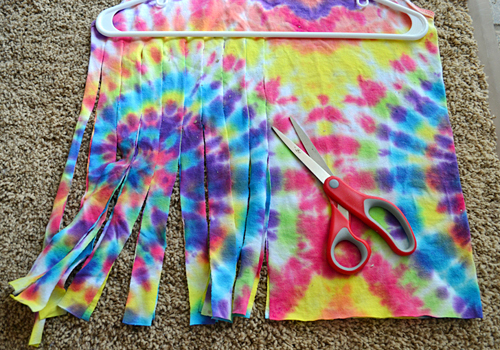 Grab a cut piece at the top where the cut meets the whole fabric of the top portion. Using your other hand pull the dickens out of that thing to string it out. Keep that one hand holding or you're going to have an issue with your strands wanting to rip off. 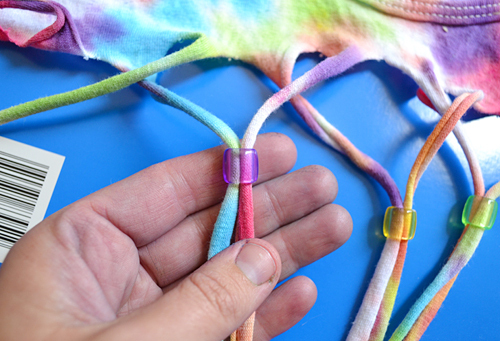 Start attaching your beads like above. There are two strands in between each V shape. That's the best way I was able to keep up with the pattern. 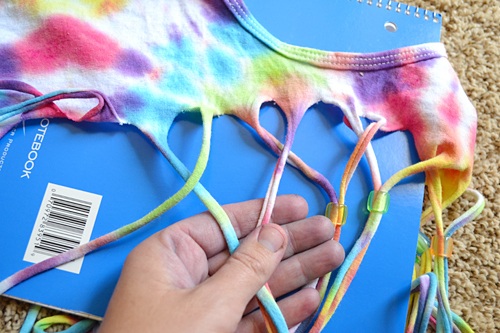 Apply the beads and try to get them as even as possible. Using the shirt on a dummy or person can help you to make sure that your beads are nice and even, but if you don't have those options just eyeball it. 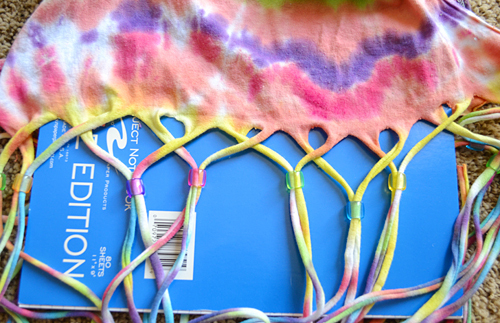 Use Aleene's Super Fabric to glue the beads in place OR tie knots to keep them where they should be. The knot business is irritating though so I recommend the glue! Oh, and be sure to get LARGE hole pony beads. I got regular ones and had to hitch a ride to the town north to get the right ones. Kind of puts a damper on DIY when you don't have the right supplies or tools! Make your own and enjoy! If you're not terribly comfortable with baring so much skin (as I most definitely am not and even less so putting it on the internet EEK!) it might be cute under another tank? Let me know if you give it a go and if it works out! Find me over at Dream a Little Bigger for more projects! That is so cute and hip! You look fabulous in it. 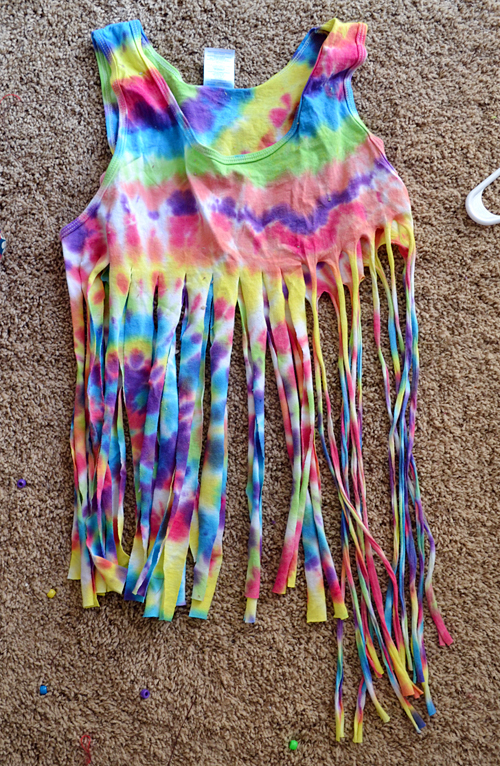 Wow amazing swimwear cover up diy designs!!! I like your Collection. Thanks for sharing.. If you want to buy affordable swim tankini plus size, then Spirit Wanderer is one of the best choices you have.